Manchester United take on Sheffield United tomorrow, with Louis van Gaal meeting the media ahead of the clash. The Dutchman was in fine form as per usual, having his say on various situations including the current injury situation. He confirmed that one of his star man in Ashley Young is missing from the squad tomorrow, but he isn’t injured. Just low on fitness. “Ashley Young is not injured, he is overloaded and in the red zone.” Louis van Gaal said. The 30-year old winger has been playing an awful lot of football recently, in numerous positions due to his versatility. Hopefully giving him a week off will do him the world of good, allowing him to recuperate somewhat and gain his fitness levels back. 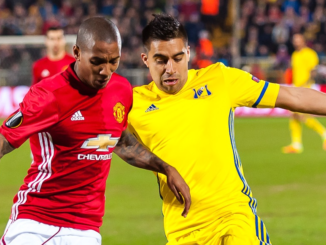 Young has without doubt been one of the success stories under Louis van Gaal. The Dutchman likes his players who can play in multiple positions and do a job, and the former Villa winger certainly offers that.